The second part of Parliament's Budget Session begins on Monday, with the opposition ready to corner the government on the issue of bank frauds. Congress deputy leader in the Rajya Sabha Anand Sharma has given a notice for a discussion under rule 267 of the House on the issue. His party is also likely to raise the issue of government formation in Meghalaya. Also, BJP is likely to counter the attack with the allegations against Karti Chidambaram, the son for former finance minister P Chidambaram. # 12:50 PM: The TDP, a constituent of the BJP-led NDA, has reportedly held unofficial meetings with the Congress, seeking opposition support for special staus to Andhra Pradesh. 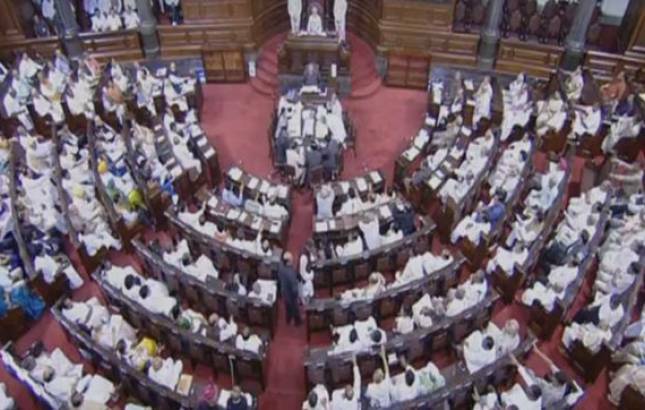 # 12:35 PM: Congress President Rahul Gandhi, who went to visit his grandmother in Italy during the Holi weekend, is back as the second part of Parliament's budget session begins. # 10:44 AM: PM Narendra Modi arrives in parliament, welcomed by BJP Chief Amit Shah and Union Ministers.